Organising a solution to dispose of waste can be an annoying and time-consuming task. Don’t put off your large household projects, like renovating your kitchen or cleaning out your garage, any longer! Melville Bin Hire are Perth’s skip bin specialists. We have a large range of skip bins that come in various sizes to suit your needs. Cleaning up your garden? We can remove your green waste! Many of us in the Perth Metropolitan Area are blessed to have a large backyard or garden for our families to enjoy – but we all know that maintaining a large outdoor space can be a lot of hard work! Many councils provide green waste pick up services, but this doesn’t always occur at convenient times throughout the year. So, what do you do if you need to get rid of your green waste? The skip bin experts at Melville Bin Hire can help. We can provide skip bins to suit your needs and remove your green waste. We pride ourselves on fast and efficient service which we offer at competitive prices. Contact us today to discuss your green waste removal requirements! Renovating or getting rid of old furniture? We can help! We all know that renovating and/or disposing of old, unwanted furniture can be a big job, and many of us put it off due to waste disposal difficulties. Melville Bin Hire can help you achieve your renovation dreams! 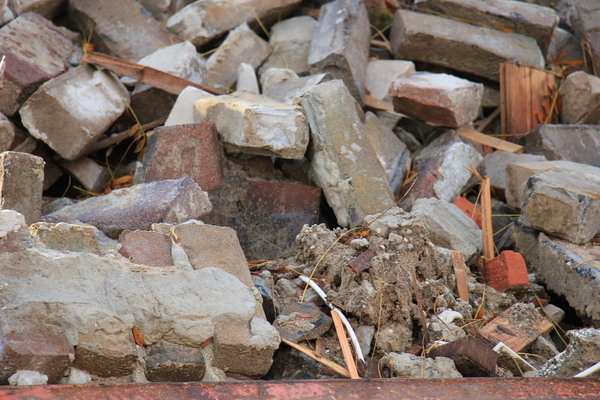 We dispose of your bricks, rubble, and furniture for an affordable price. Our bins come in a large range of sizes, so we have a bin that will suit the size of your project. For a small job, you might require our smallest skip bin at 4 cubic metres. However, if you’re renovating your whole house, you might want our largest bin at 12.5 cubic metres. If you’re unsure about which size bin will suit your needs, feel free to call us. We are happy to help by recommending the best bin size for you! Does your garage need a clear-out? We can dispose of your waste! Our garages and carports can easily become storage units for our unused and unwanted belongings. From bikes and old furniture to cardboard boxes filled with books and magazines – our garages are receptacles of waste that take up precious space in our lives. Don’t put it off any longer – it’s time for a spring clean. Contact Melville Bin Hire and organise a skip bin for your garage clean-out today, and reclaim that space for more important things! Are you a construction company or builder? We can provide reliable skip bin service! Melville Bin Hire provide professional skip bin services to commercial clients. We have bins of all sizes to accommodate the needs of any construction project, and we will work with you on an individual basis to ensure we provide a service that meets your requirements. From brick and soil to tiles and even asbestos, we can cater to any building site’s waste disposal needs. Contact the skip bin specialists at Melville Bin Hire today to book a skip bin for your company’s next construction project.